I’m always on the look out for skincare products that are specifically designed for children and babies with sensitive skin. I’ve quite often said how difficult it is for me to find products for my boys to use at bath time. All three of them have eczema and sensitive skin so I have always been very careful what I use. 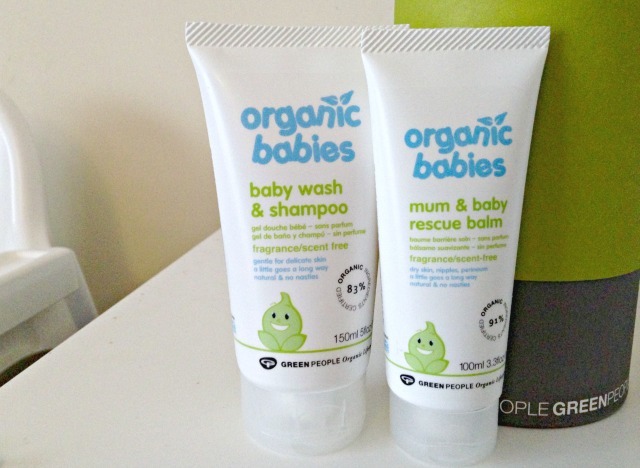 Green People very kindly sent me their organic Mum & Baby Rescue Balm and the Baby Wash & Shampoo, both scent free, to try out and I am absolutely thrilled with them. We are very limited in the products we can use, especially in the bath, and more often than not they are left with just emollients which I can’t help but feel is a but boring for three little ones. The Baby Wash and Shampoo has quite frankly transformed our bath time – I love having a product that does everything; we use it as bubble bath, as a wash on sensitive areas and as shampoo for all three boys. It doesn’t have any scent but it leaves their skin and hair feeling soft and clean. It creates bubbles in the bath which is quite a novelty for them and lovely for washing them with. I like that it is a multi-purpose product; it says on the tube that ‘a little goes a long way’ and that is certainly true, our 150ml tube is still going strong after a month with lots of bath times and hair washes. After all three boys had chicken pox I was especially careful with their skin but this caused absolutely no reactions and has really helped to calm down their bad patches of eczema. The Mum and Baby Rescue Balm I now take everywhere with us, again it is a great multi-purpose product. As the name suggests it can be used on mum and baby but I’ve been mostly using it on the twins; they get the worst patches of eczema around their neck and on their shoulders and I can just rub some in the soothe them. I like that it is a balm; it soaks in nicely to the skin and leaves it feeling instantly softer. With their eczema creams they just sit on top of the skin and never seem to rub in whereas I really feel as if this is soaking into the dry areas. I use it on my three year old son too and even on my hands when they feel dry. It is always handy in the changing bag now to use if I see any of them scratching. It really seems to calm their eczema, it doesn’t look as red or sore and as soon as I see a flare up again I know the balm will soothe the irritation. Just browsing the Green People range I have been pleasantly surprised to see so many products that cater for little ones with sensitive skin. All ingredients are clearly shown on each product including the percentage of organic ingredients. I also love that you can buy trial sizes of many of their products, perfect if you need to test it on sensitive skin. 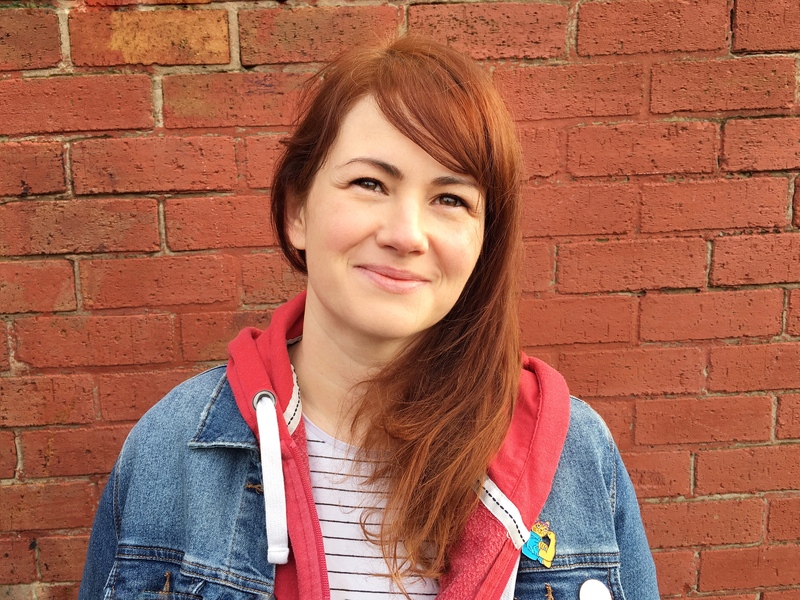 Green People is a brand I trust and use myself so I had hoped that it would be fantastic for my children and I wasn’t disappointed. Both these products would be a perfect addition to any little one’s skincare collection. I wouldn’t hesitate in recommending them, especially if your children have sensitive skin. Yay for finding something nice and organic that works for you guys. We use California Baby over here, fragrance free! I’ve not heard of this before but I do like the idea of it being scent free. I didn’t have that much luck the first time and ended up just using Johnson’s products all the time.